Detroit has a massive eviction.. Learn more about redlining maps here. Back in 1968, redlining — or refusing to give loans to residents of certain neighborhoods, and a tool of discrimination against blacks —was outlawed by the Fair Housing Act. It was a landmark victory for the Civil Rights movement, but it’s not exactly ancient history. Youstill find the language from racially restrictive covenants (banned even earlier) in the deeds to homes. 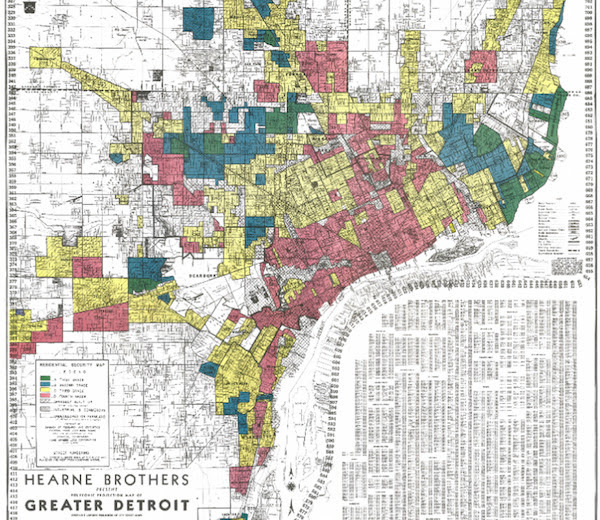 And, among the many harmful outcomes of segregation, it’s worth considering how historic redlining affects residents of those neighborhoods today, researchers suggest in a recent study. “The legacy of redlining in the effect of foreclosures on Detroit residents’ self-rated health,” published by University of North Carolina-Chapel Hill researchers in the peer-reviewed journal Health & Place, looks at the impact of the Great Recession and foreclosures on Detroiters’ heath. They analyze how mortgage foreclosure rates changed by neighborhood after 2008 and surveys of how residents rated their own health, from excellent to poor. What they found wasn’t exactly simple, and they noted a bunch of other factors (like urban renewal and other kinds of housing discrimination) that weren’t factored in to the data. But the TL;DR is: in neighborhoods that were slower to recover from the Great Recession, residents were more likely to rate their own health as poor. Left: Changes in Neighborhood Foreclosure Rate 2009– 2011. Neighborhoods shaded lighter had faster recoveries in foreclosure rates over the study period compared with darker shaded neighborhoods. Get into the nitty gritty with the full article here. And then, revisit Ta-Nehisi Coates’ article “The Case for Reparations” for a much more in-depth look at the contemporary consequences of redlining and other housing discrimination.